We are so excited that you are taking the time to check out our Cabot Campus page! Fellowship Bible Church is one church that meets in multiple locations. 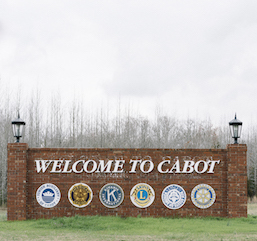 The Cabot Campus seeks to be a TRANSFORMING community, for our community of the Cabot, Jacksonville and Little Rock Air Force Base area — and ultimately for the world. We are a passionate group of Jesus-followers driven by a deep desire to live by God’s grace and for His glory! 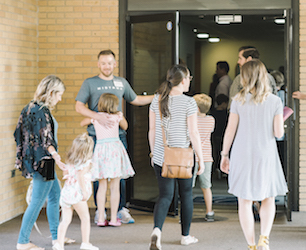 Our hope and prayer are that each person that visits Fellowship Bible Church Cabot would connect with God through life-changing worship, experience biblical community, and come to know who Christ is. Click below to learn about the future of our campus! Our Cabot Campus is located on the southern edge of Cabot right off of Hwy 321. We are thrilled to not only serve Cabot but the much of the greater area of Lonoke County, Jacksonville and Little Rock Air Force Base. When you arrive on Sunday morning you can expect a casual, family-friendly atmosphere; with friendly faces waiting to greet you, ready to help you get to where you need to go. We have Sunday morning worship experiences for adults and children alike. We also have a secure check-in system in our kids’ ministry area so that families can feel confident their children are safe and well cared for. 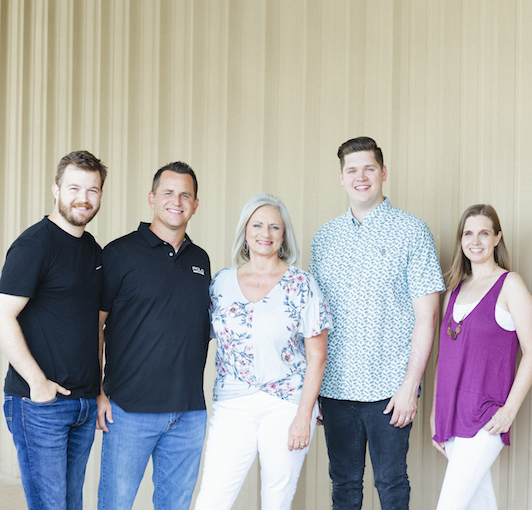 If you are attending our adult Sunday morning experience, you can expect passionate, modern worship, Biblical teaching that is relevant to you, and a close-knit, family feel. We also have a café that serves coffee and donuts. Check out our ministry tabs below to find out more ways to serve and get plugged in on our Cabot Campus! We are so excited to have you visit our Cabot Campus page. We hope that you will choose to visit our campus in person experience what it is like to be a part of the Fellowship family! To the right, you will see our Cabot Team. We are a smiley bunch of Jesus-lovers and can’t wait to meet you. See you soon! In Fellowship Kids, we want to see kids grow to be disciples who live by God’s grace and for His glory at home and across the world! We do this by making Fellowship Kids a safe and engaging environment where kids can worship through song, hear God’s story from the Bible, and discuss those stories with friends in small groups. Every Sunday, we get to help kids see who God is and how every page of His story points us to Jesus! From the moment you step out of your car, you’ll encounter friendly people who are happy to help you! We are ready to serve your family and help your child get settled into Fellowship Kids. If you want to prepare for your first visit, the downloadable guide below has some helpful answers to the questions you might be asking. How can I be involved with Fellowship Kids? 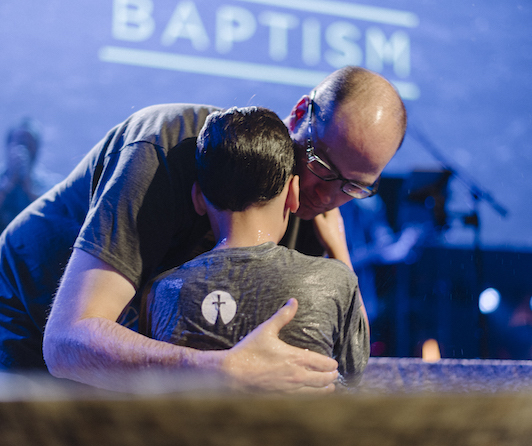 We believe God has called every parent to be the primary Spiritual leader in their child’s life. But we know that every parent would love some help on that journey! Our Family Discipleship Guide is a resource from Fellowship Kids designed to help parents leverage everyday moments to spark Gospel-centered conversations with kids of any age. Fellowship Bible Church is a great place to serve! 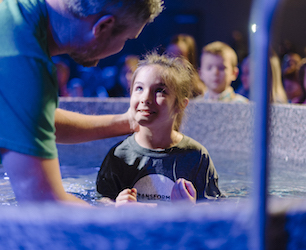 We have many opportunities for students and adults to share the love of Jesus with kids of all ages. Please fill out this form if you’re interested in serving! Fellowship Student Ministries (FSM) is dedicated to providing seventh through twelfth-grade students with experiences and relationships that lead them to know and understand more about who Jesus is and the life change that can only be offered through Him. To learn more about all of our student mission trips and to sign up, CLICK HERE. Each FSM small group (known as Discipleship Groups, or D Groups) have six to twelve members, and each group is based on grade and gender. These groups meet throughout the week to help students grow in their understanding of the Bible and practice of Scriptures as well as create a community with their group leader and other participants. We welcome you to join other students as we learn about Jesus Christ and His example. Fill out the D Group form, and someone with FSM will be in touch to welcome you to a small group. There are 1,000,000 things influencing teenagers today. The most powerful influence in their lives is family. 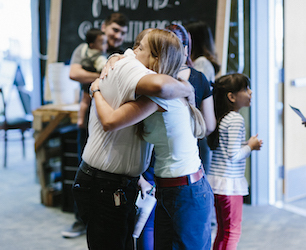 We believe if we combine the church and family we will have an even GREATER impact on the next generation. So, we are committed to PARTNERING WITH PARENTS. Walking with you, the parent, during your student’s junior high and high school years to nurture an active relationship with Jesus. Each week, we provide At Home videos; videos that are designed to help continue the conversation at home. Our Cabot Men’s Ministry helps to equip, empower and encourage men to become the man God has designed them to be. Men need each other in this journey, and so Fellowship Men helps men get connected so they can be transformed and grow by His grace in all areas of a man’s life. Everyman Monday meets on the first Monday of the month from 6:00-7:45 PM. Each month we share a meal together and connect with other men growing in faith through studying the Bible, discussion and accountability. Join us for our larger gatherings for all women, and any of our year-long small groups. 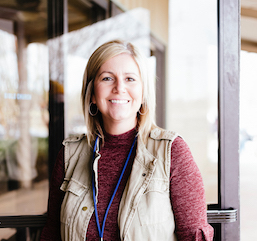 We’re praying for God to reveal Himself more to us every single day and we’re excited as the mission of our church becomes a more apparent part of our ministry to women. We hope you’re ready to be part of this vision and we look forward to helping you get connected. 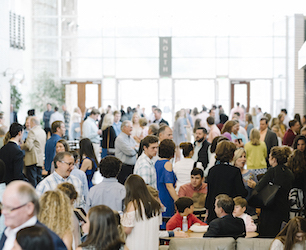 Fellowship’s discipleship-focused small groups are at the heart of our church’s mission. Many offer free childcare available upon registration. Each campus provides weekly group studies for women in every stage of life. No Gatherings are scheduled at this time.